A user friendly WP Theme suitable for horse-riding schools. 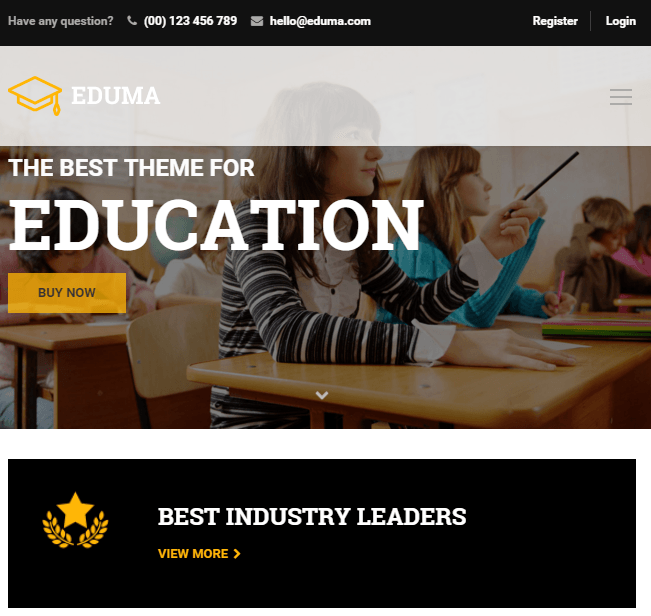 Education WP is a WordPress theme for the Education & Learning Center – for educational organizations, who sell courses and organize classes locally. It comes packed with 3+ different demos providing you with different customization options. It is fully responsive theme which looks perfect on any device you use. It gives best user experiences as it also supports retina ready devices. It allows to easily create courses get reviews, set the prices, discounts, create events. Hence it is an unique and modern Learning Management System WordPress theme for WordPress built with Bootstrap. It is fully compatible with WooCommerce plugin and hence allows you to create your own online store within few minutes. It also comes packed with Powerful Page builder plugin named as Visual Composer and saves $34. It easily allows you to create the pages of desired structure. The theme is also provides you with amazing revolution slider and saves $18. It is integrated with built in event plugins which will help you in managing events easily. Compatible with bbpress which will provide you with forums and helps you with discussion on your courses. The theme is built with SEO in mind. Support for Google Web fonts and font awesome icons. Post format support : Standard, Audio, Gallery, Image, Link, Quote and Video. The theme offers you layout manager which allows you to create the custom layout for your content. Support is provided for RTL languages. Moreover, Translation ready theme as it is compatible with WPML plugin, built in mega menus, contact form 7 ready and much more. A unique WordPress theme for Education & Learning Centers. 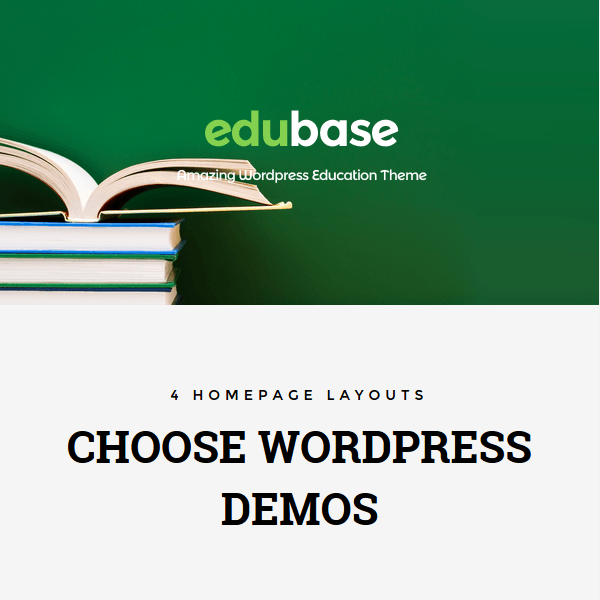 Fully Responsive WordPress theme for Education websites.